How much is The Weeknd Worth? 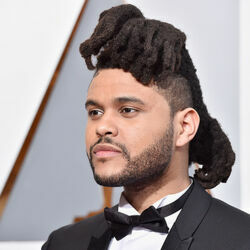 The Weeknd Net Worth: The Weeknd is a Canadian recording artist and record producer who has a net worth of $70 million. Between June 2016 and June 2017, The Weeknd grossed $90 million from record sales, touring, merchandise and more. The Weeknd was born Abel Tesfaye in Scarborough, Ontario, Canada in February 1990. He started working on songs with producer Jeremy Rose in Toronto. In 2010 Tesfaye uploaded the songs "What You Need", "Loft Music", and "The Morning" to YouTube using the anonymous named "The Weeknd". 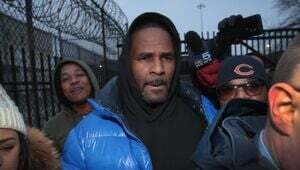 His songs gained attention thanks in part to Toronto rapper Drake. His mixtape House of Balloons was released in 2011 for free on his website. That was followed by the mixtapes Thursday and Echoes of Silence. In 2011 The Weeknd released a compilation album called Trilogy under Republic Records and his label XO. His debut studio album Kiss Land was released in 2013. Kiss Land and Trilogy both hit #1 on the U.S. R&B chart. His next studio album "Beauty Behind The Madness" was released in 2015 and was a massive success around the world. Today, The Weeknd's most popular songs include "Wicked Games", "The Hills", "Can't Feel My Face" and "Live For" which features Drake. He was won MTV O Music Awards, Juno Awards, a mtvU Music Award, and a Sirius XM Indie Award. He has been featured on songs by Drake, Wiz Khalifa, Juicy J, Sia, French Montana, Lil Wayne, M.I.A., Rick Ross, and Ariana Grande. The Weeknd released his third studio album Starboy in 2016. The album reached #1 in the US, Canada, Australia, Denmark, and Sweden. It featured the hit single "Starboy" (featuring Daft Punk) which reached #1 in seven countries including the United States. 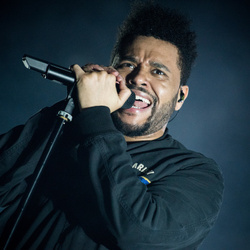 The Weeknd also had success with the singles "I Feel It Coming" (featuring Daft Punk), "Party Monster", "Reminder", and "Rockin". In 2016 he was nominated for an Academy Award for Best Original Song for "Earned It". The Weeknd set Guinness World Records in 2017 for Most Streamed Album on Spotify in One Year and Most Consecutive Weeks in the Top 10 of Billboard's Hot 100 by a Solo Male Artist.